A friend of mine has just recently returned from travelling the world for the eight last months and so when we finally managed to get together for a catch up Emma insisted that I cooked her a home coming dinner. Ordinarily I would make her my famous chicken pie as it is one of our favourites from when we used to live together, however it was a Friday night and so there wasn’t really enough time to fit that in after work, I needed to come up with an equally as yummy, but slightly quicker plan. I recently bought some really nice chorizo when I visited the Foodies Festival, so I’ve been trying to come up with a good recipe to make use of that for a while and my initial idea was to do some sort of chicken & chorizo pasta bake. 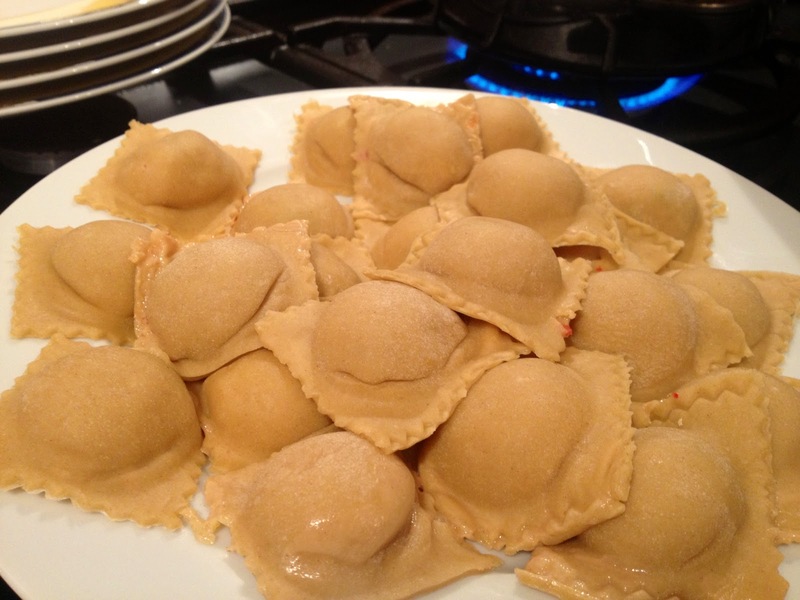 Over the course of the working day and after much discussion with my fellow foodie colleagues the idea developed into a homemade ravioli. 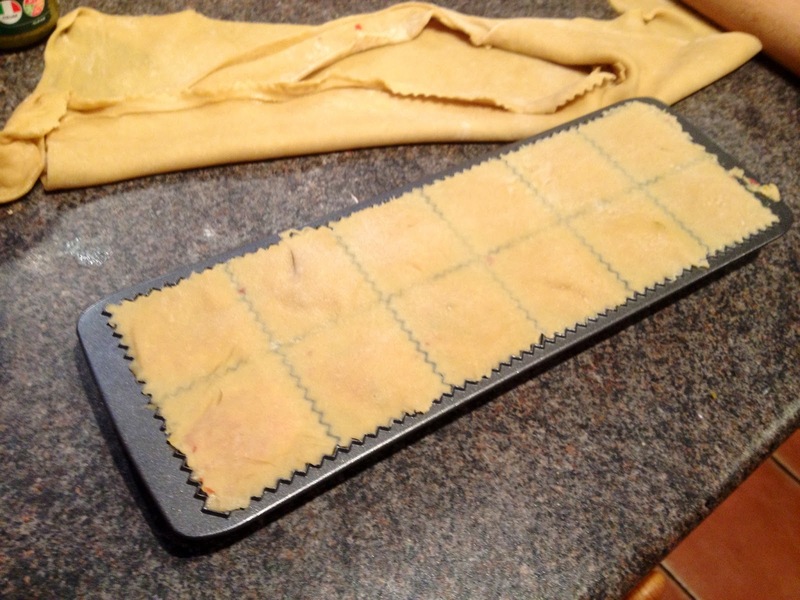 I do love making homemade pasta, it’s so simple and easy to do. 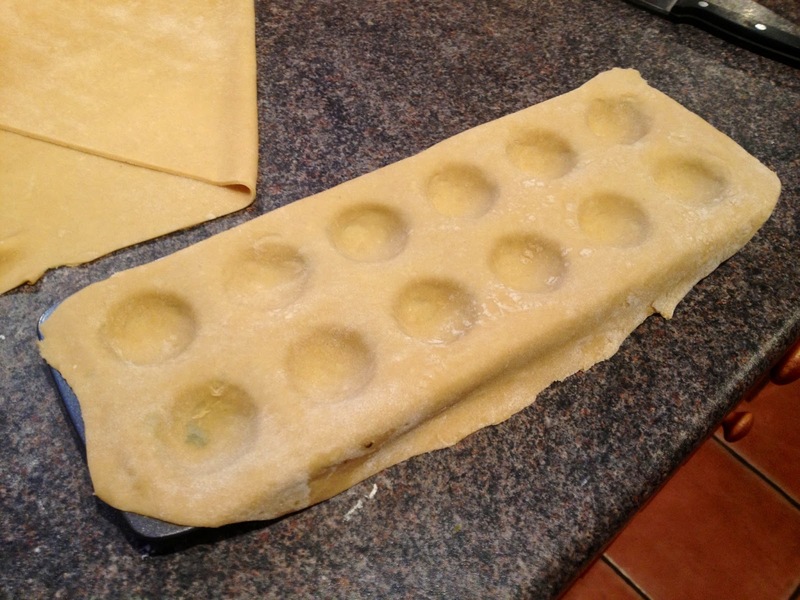 You don’t need lots of fancy equipment, just a rolling pin and if you don’t have a ravioli tray like the one I used, just use a round pastry cutter to cut the dough into circular discs to make your ravioli shapes. I think the recipe was a great success, although I have to admit on this occasion I didn’t quite roll the pasta out thin enough, however this did mean that all my ravioli shapes stayed in one piece and there was no splitting. Most importantly Emma enjoyed her welcome home dinner and we had a great time drinking wine and catching up while I was preparing everything in the kitchen and it felt like she’d never been away… welcome home! 1. Use the pasta ingredients and my fresh pasta recipe to make your dough. Place dough in the fridge for half an hour. 2. In the meantime roughly chop the peppers, chilli, celery, onion and garlic. 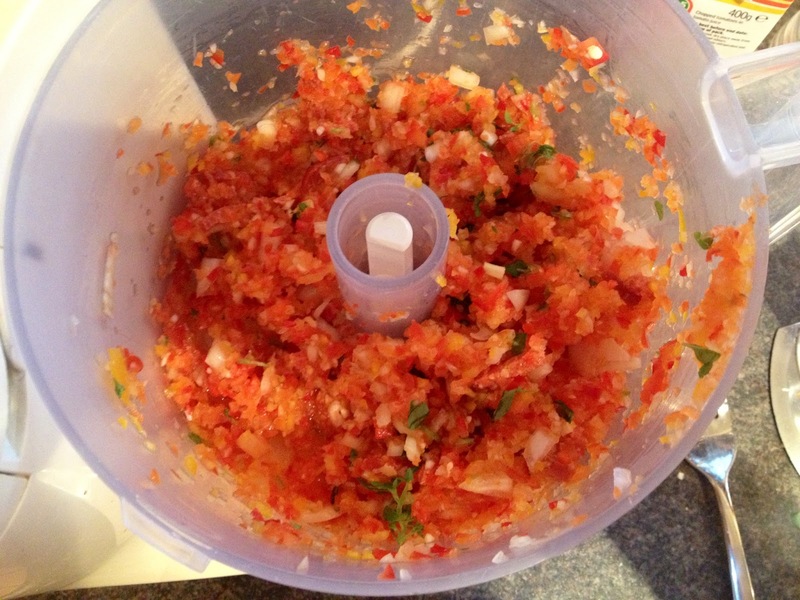 Blitz in a food processor until all the ingredients are finely chopped. Add the chorizo to the mix. 3. 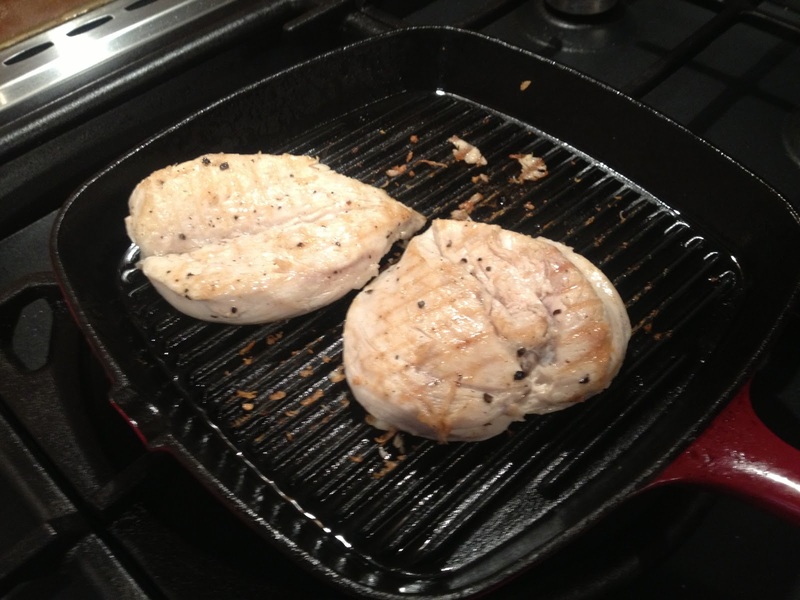 Slice your chicken breasts down the middle and open out into a butterfly shape. Season with salt and pepper. 4. Grill the chicken for 3-4 minutes on each side until cooked all the way through. Remove from the pan and set aside. 5. Get your pasta dough out of the fridge and on a floured surface roll out until approximately 1mm thick. 7. Fill each pocket with a teaspoon full of the filling. 8. Brush edges with the beaten egg and lay another sheet of pasta over the top. Press down to seal trying not to trap any air bubbles. 9. Roll over with a rolling pin to cut into the shapes and remove them from the tray. Set aside on a floured plate and re-use the tray for the next batch. 10. 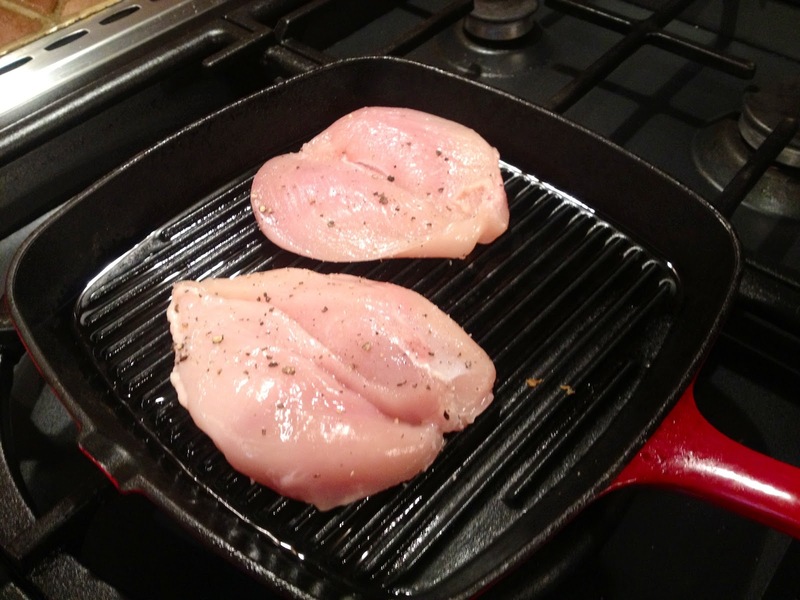 Heat some oil in the griddle pan you used for the chicken earlier and add the broccoli. Put a large saucepan of water on to boil. 11. When the water is boiling add the ravioli and boil for 3-4 minutes until cooked. 12. 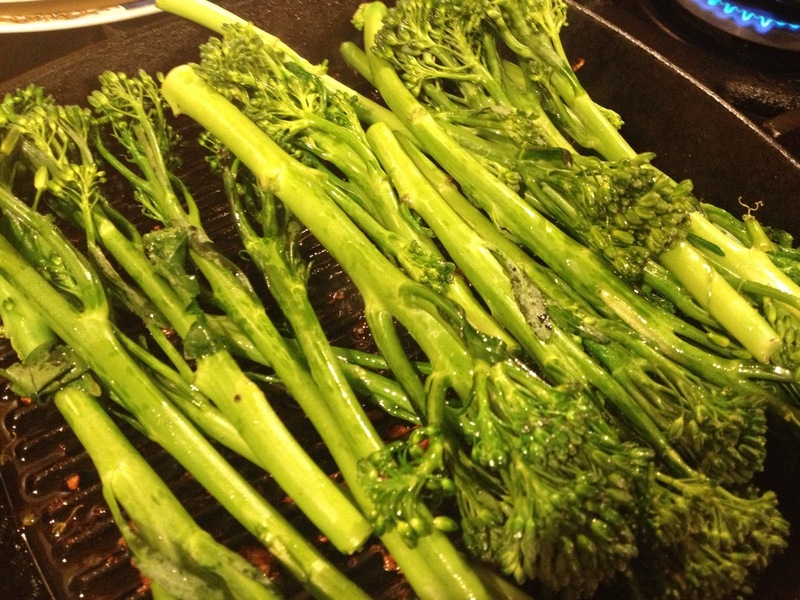 By this time your broccoli should also be done and you’re ready to plate up. 13. 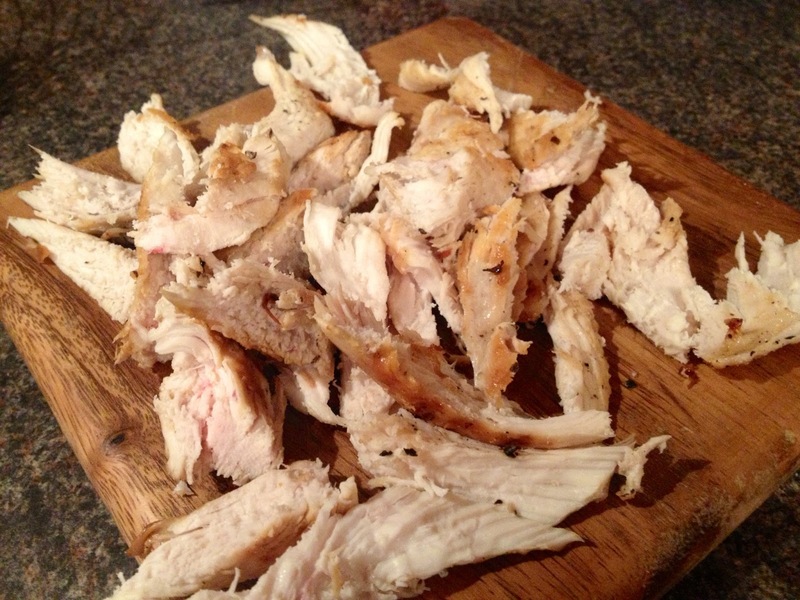 Use a knife and fork to tear up the chicken breasts you grilled earlier. 14. 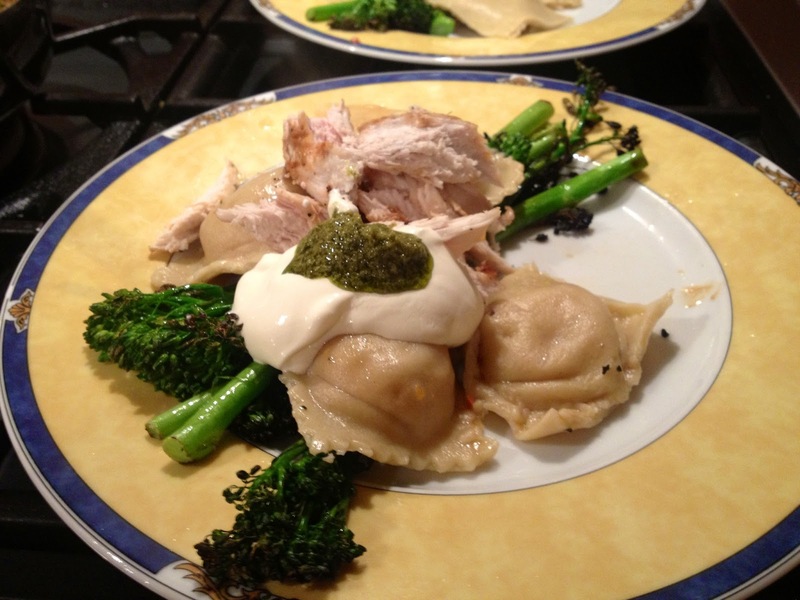 Place a few of the broccoli stems on a plate, top with 4-5 ravioli and sprinkle the torn chicken on top. Dollop a tablespoon full of crème fraîche onto each dish and a teaspoon of pesto and serve.